Daniel Ricciardo’s replacement has yet to be named. THE Formula One silly season is getting even sillier as the guessing game about who drives where in 2019 continues to play out. One puzzle was solved last week when McLaren announced Carlos Sainz would be joining the team next year to take Fernando Alonso's seat after the Spaniard announced he was quitting the sport at season's end. 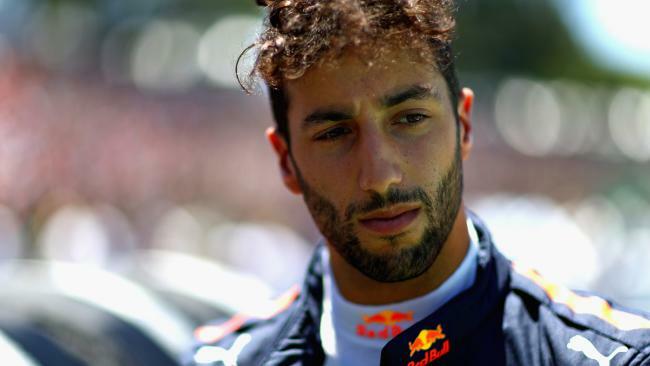 But there are other dominoes to fall and race fans are most keen to see who will replace Daniel Ricciardo at Red Bull after the Australian dropped a bombshell by revealing he was leaving the energy drink team to partner Nico Hulkenberg at Renault next season. Formula E driver Jean-Eric Vergne revealed he had been contacted by an F1 team about joining the grid in 2019 and many speculated that team was Red Bull. The Frenchman drove for Red Bull's junior outfit Toro Rosso from 2012-2014 and he said it was "great" to receive such interest about an F1 return. "It's a possibility. It's funny how the world of motorsport changes," Vergne said. 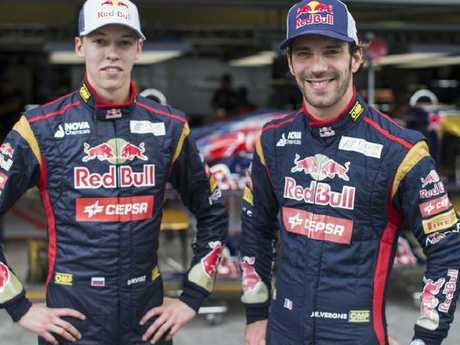 Jean-Eric Vergne (R) sparked speculation Red Bull was interested in him again. "Three years ago, I don't think anybody would have called me from F1 and said: 'Hey, do you have a contract for next season?' So it's great. "It was nice. I don't know how to put it in any other terms. It's more like, when you work, it pays off. I don't need it for my ego. With what happened to me, I don't have a big ego. I don't think I ever will have any more. It's nice. But it doesn't change my objectives." But Vergne denied he'd had any contact with Red Bull, shredding that claim on Twitter and predicting Pierre Gasly would take Ricciardo's place. At the end of 2013, Vergne was hoping for an F1 seat with Red Bull the following year but team hierarchy opted to promote his then-teammate Ricciardo to partner Sebastian Vettel after Aussie Mark Webber's exit. Vergne was then dropped at the end of 2014 and hasn't been sighted in F1 since. But the 28-year-old has still been enjoying success, winning this year's Formula E title and the Le Mans 24 Hours event (only for his team to be stripped of the honour for a technical oversight). Vergne has matured since his F1 departure and can see how those earlier disappointments have helped him improve as a driver, which would come in handy if given another shot in F1. 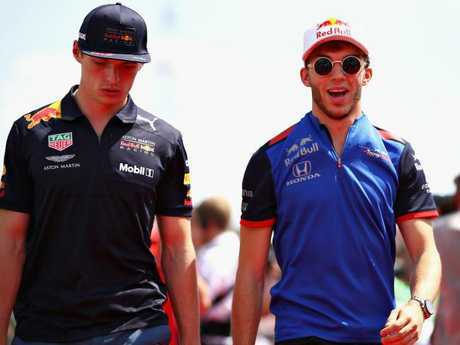 Pierre Gasly (R) is a hot favourite to partner Max Verstappen next year. "I've handled disappointment, I've handled pressure, I've handled I think a bit of everything, especially from the negative side of handling the big things." Vergne said. "I guess it made me a lot more cooler and relaxed about how I approach racing." Gasly, driving for Toro Rosso, is 13th in the drivers' standings and a favourite to be promoted and join Max Verstappen at Red Bull. Team boss Christian Horner said he would be looking to youth to fill the void left by Ricciardo and Gasly has shone in his first full F1 season, leading many to believe Horner will promote from within. There was talk Gasly may have been a chance to go to McLaren but Sainz's move from Renault has opened the door for Gasly to take the vacant Red Bull seat. Gasly's exit would, however, leave a seat open at Toro Rosso, which could be filled by British youngster Dan Ticktum, providing he gets enough license points, or even McLaren youngster Lando Norris. The F2 frontrunner is a leading contender to team up with Sainz for 2019, along with Stoffel Vandoorne, but even if Norris is not successful, McLaren would still love for him to be in F1 next season.